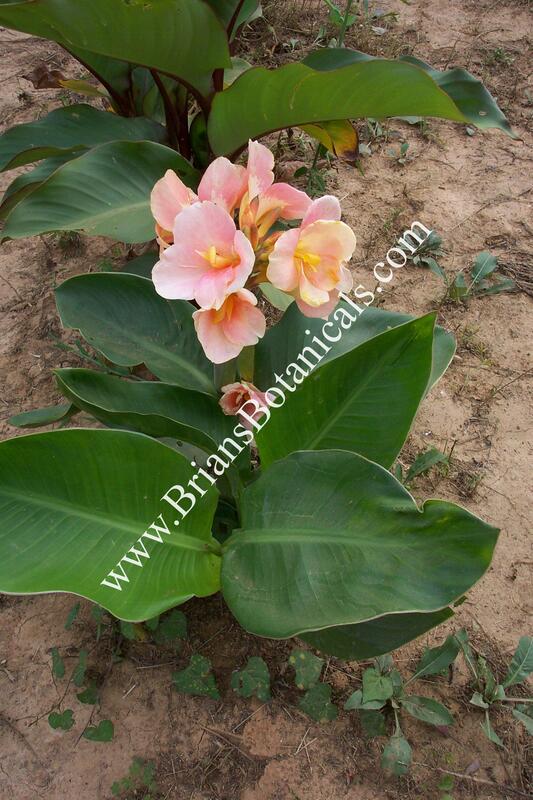 Canna Carolina Pink is a dwarf growing canna with dark green leaves growing to 3 to 4 feet tall. The flowers are medium to large in size and are a very soft lite pink color. Great in clusters or in containers. When many of the Canna varieties tend to be showy and overly bright this one has a much softer tone in the garden. Plants flower all summer long and are hardy from zone 7 and up.